This guide assumes you have used the ﻿headline testing tool ﻿and have your headline split test results ready. In the article about writing amazing headlines we talked about the importance about testing headlines to see which ones work best. And, as a bonus, I’m gonna teach you how to use the headline split tests to get more traffic from Google search. But before I do that, here’s a small explanation on how this happens. "Content is king, but marketing is queen, and runs the household"
So Google pays very close attention to how many people visit your web pages after seeing them come up in search results. This is called Click Through Rate (CTR) and is measured as a percentage. And Google gives a LOT of weightage to this and experiments have shown that CTR can affect ranks dramatically. Now if your website scores high on Google search results CTRs, Google sees that as a sign that your pages (and posts) are more valuable than Google originally thought and you will rank higher on Google (for that search term). 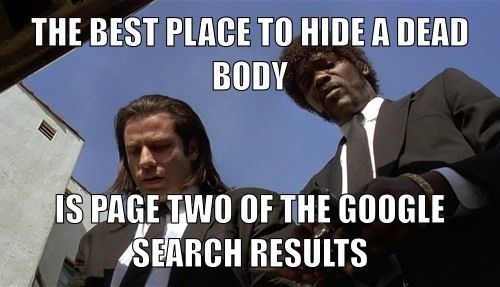 And this happens no matter which rank your website appears on the search results. Now, if pages (or posts) on your website get more clicks than Google’s expected CTR for that rank, Google will assume that your content matches more closely with what people are searching for and will show your pages higher in search results. If you manage to get higher than expected CTRs for more of your website’s pages (and posts), Google will run experiments with the rest of your pages to see if they too get higher than expected CTRs. Don’t try to “game the system” by getting your friends to perform searches and click on your results. Rank gains generated by manipulating CTRs don’t last long and worse still, harm your website rankings in the long term. Read this article carefully and apply the suggestions here to get a permanent (and legitimate) ranking increase. 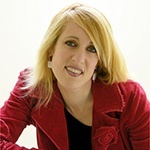 So how do you make your website’s search results more clickable? When we humans decide to click a search result, we do a quick scan of the results’ headline and search snippet before we decide to click it. And we are more likely to click a result which we find interesting or we think contains the information we are looking for. Using this to your advantage, you can improve the likelihood that people will click your links. To do this, first check the headline split test results (the ones you found out from Headline Optimizer) and use the winning variation as the headline for Google search snippet as well. The reason behind this is that the winning headline is the one which gets the most clicks and also gets the maximum user engagement. These headlines aren’t just good for your blog, they are also good for Google search result snippets. You can do this by customizing the search results snippets for each of your pages and posts. I use the SEO Ultimate plugin to do this but you can also use Yoast SEO plugin which is also very popular. What should you write in your snippets? What’s a “result worth clicking”? To figure this out, first you need to really know the purpose of your post/page. Think about who it appeals to and what they can gain from visiting that page. Now try to figure out what kind of a search term someone would use in Google if they were looking for this kind of information. You can use Google’s Keyword Planner for this. I use LongTailPro for my keyword research and use Market Samurai to figure out the level of competition for my keywords before I invest my time and effort into ranking for them. Use your customer’s language, not your own! 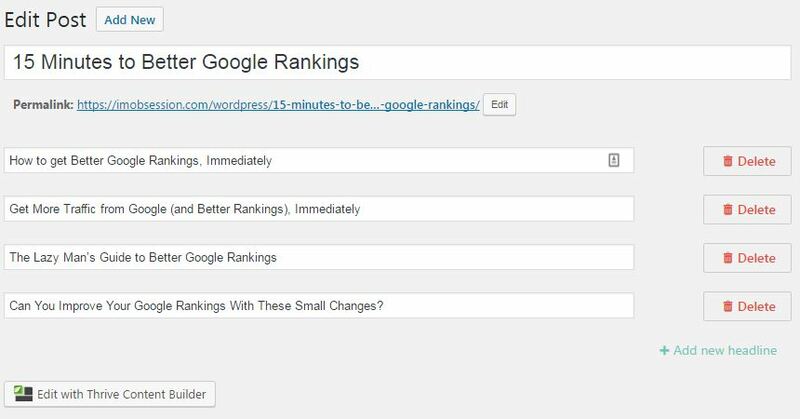 You should also use a rank checking tool like ProRankTracker to check which terms your website ranks for already. This is useful because you should first and foremost optimize your Google search snippets for posts and pages which already rank best. That way, you get the maximum benefit of updating your search snippets from the minimum effort. This is better explained in the example below. How to update the Google search snippet? Once you get the new headline test results for each post, update your Google search result snippet with the new headline. To update the Google snippet, I use SEO Ultimate plugin. You should also update the rest of the snippet so it matches more closely with your new headline and the search terms that it shows up for. While it is useful to change all your Google search snippets to match the winning headlines, the best results will come from changing the headlines of the posts which already feature on the first page of Google search. If your post ranks in top 10 for more than 1 search query, then tailor your headline to match closely with the search term that ranks highest even if it is not the most searched for. 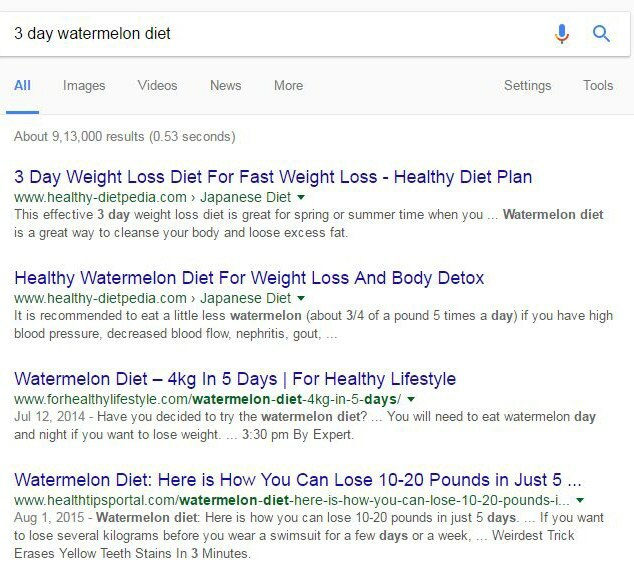 For example: Your blog post about organic fruit juices ranks number 9 for search term “health benefits of watermelons” and holds rank 7 for search term “organic fruit juice recipes”, you should change the snippet headline to more closely match the “organic fruit juice recipes” search query instead of “health benefits of watermelons”. You should do this even if “health benefits of watermelons” is being searched for more than “organic fruit juice recipes” because you can get a higher rank (because of better CTR) for the “organic fruit juice recipes” term. Caution: Be careful when applying this process to posts and pages where you rank 5 or higher. Save a copy of your existing search snippet before making changes. Keep a close eye on CTRs and rankings (using Google Search Console) for these posts and pages. If the changes you make don’t work out, revert to the old snippet for a couple of weeks before trying out a different snippet. Simply use the headline variation which matches more closely with “organic fruit juice recipes” even if that isn’t the winning variation of the headline split test. This will start getting you more clicks sooner. Next, start another headline split test in which you test headlines which are more closely related to “organic fruit juice recipes”. Check the headline cheat sheet to get great ideas for such headlines. Of course the example I have provided here isn’t too great because the search terms are too different. It’s unlikely that one of your blog posts will score first page ranks on Google for such different search terms. But if this is the case for your website, I recommend you create another post about the health benefits of watermelons and split test the headlines for that post as well (and again follow the process mentioned in this article). This will help you get better search engine rankings for both the terms. Once this is done, just go into Google and get your pages manually re-crawled with googlebot. Don’t depend on your sitemaps, they take too long. Before you start changing your Google snippets, download the current data for rankings and click through rates from Google Webmaster Console and Google Analytics. Then wait for a month after changing the headlines to compare the data again. If you see a significant increase I’d like to hear about it and use your feedback as a testimonial for this guide. If you see a significant decrease, I’d like to know so I can help you fix things. You can leave me a comment below. I hope this article helps you in getting better rankings on search engines using your new and improved headlines. And if you haven’t already, grab your copy of the Headline Cheat Sheet now and get 50+ ready-to-use headline templates and 100+ words to communicate more powerfully. Interesting read man and I’m glad I came here from Twitter. Ah yes CTR is a ranking factor. If you manipulate your way to the top with poor Titles and meta description, Google through RankBrain will quickly notice and move you away. SEO is becoming more and more smart right? That’s absolutely right … Google is pretty smart and such tactics won’t work in the long run. But bloggers who are not aware that CTR plays a role in their SERP ranking, could benefit from optimizing stuff to increase their click through rates. And if they do this for all their content, the difference in search traffic could be massive, don’t you agree?